How To Increase The File Size Sharing limit of Whatsapp And The Numbers Of Group Members To Any Limit Of Your choice. Whatsapp as we all know have been a great app for passing and receiving instant messages over the years. Whatsapp as of now have almost replaced the normal SMS messaging we were glued to before.. Whatsapp offers varieties of services other than sending only messages. With Whatsapp, you can send and transfer files with friends and love once, you can also use the countless emoticons in whatsapp to express situation which I must say is very awesome. Although whatsapp offers all this amazing features, they're traces of f*ck ups whatsapp didn't reason well when developing its app. Why would whatsapp limit file sharing to just 16mb? Isn't that a crazy idea? U know 2go offers a greater feature for file sharing, but hell no! 2go is dead, buried and forgotten. Another thing whatsapp didn't reason well was limiting its group participants to only 100. Imagine if you want to create a group of your whole school or church members, but you're limited to adding only 100 people.. Isn't that annoying? Today we will look at how to bypass all the limits mentioned above with just few easy step... You don't need to be a phone guru to know this. 1. All thanks to Root Explorer. Download it HereFor you will be needing it. 2. 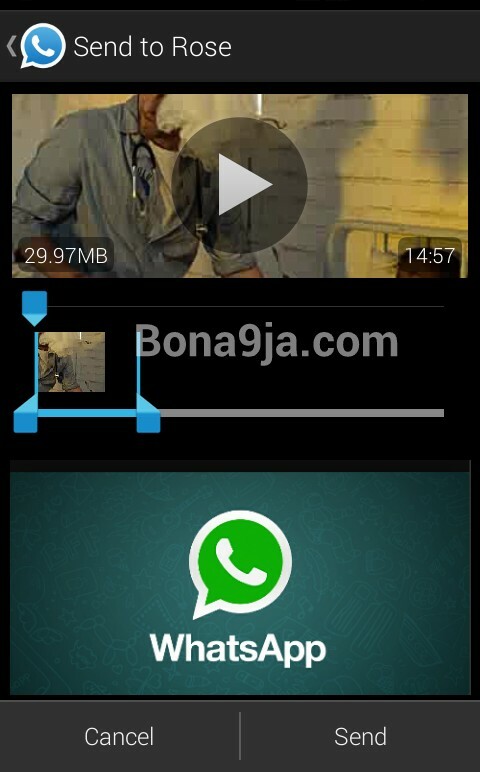 Launch the downloaded app and goto Root»»Data»»User»»(0)»»Com.Whatsapp»»Shared_prefs»»com.whatsapp_preferences.xml Click and open. 3. Since the file ends with .XML, it means we can customize it. Long press the file and Tap (open with) select Text Editor and continue. 4. To change whatsapp group limit, Locate [[ int name="participants_size_limit" value="100" />]] and change the 100 to any number of your choice not exceeding 9999. If you're using Whatsapp+ you'd notice that your your group members have already being tweaked to 9999 and your file sharing limit to 29mb. Click your option key and tap (save changes) reboot your device and rock this Tweak.